Today was my last shift at Espressino. It has been some very fun hours, some very long hours, some very stressful hours, some rather quiet hours. Most of all, I’ve enjoyed it! For almost two years, I didn’t do steady bar work. 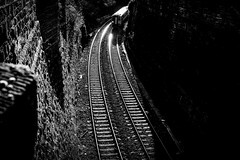 I had almost forgotten what it was like to get up 4am and catch the first train in order to make sandwiches and all the other things a coffee person has to do before he or she can even touch the coffee. Even though the concept right now is rather restricted to espresso, owner Alex is dead set on finding a way to get brewed coffee on the menu! I am sure he’ll get there! In one sense it is sad that it’s over. On the other hand, I am now moving on to my next project. What that will be, I will reveal soon enough! 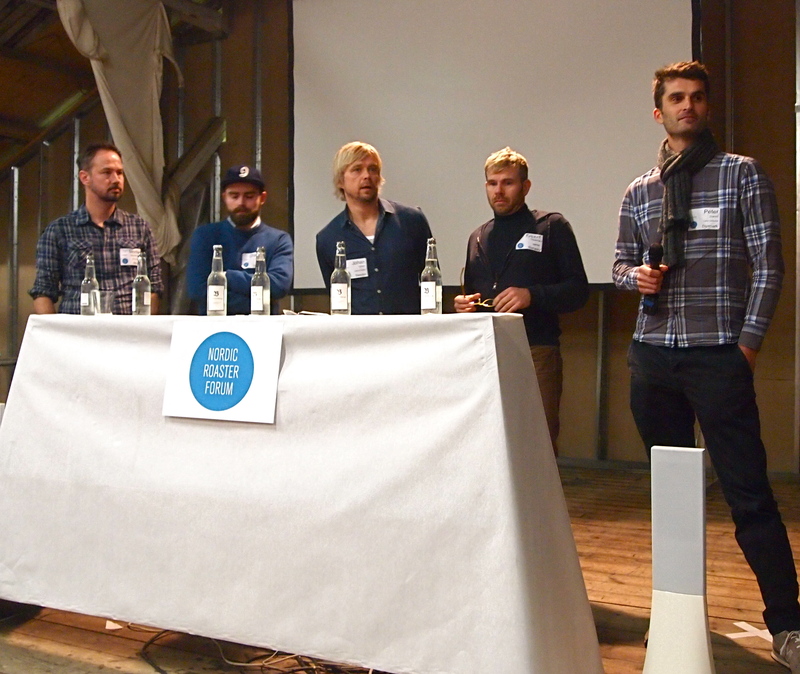 Last years Nordic Roaster Forum, was hosted by da Matteo in Gothenburg. You can read about my experience then here. Since da Matteo is my employer, it was a no brainer for me to go. This year, I was more hestitant, since I am not a roaster even though roasting and cupping is two subjects I will try to indulge in more and more the coming years. It feels sometimes as if I go backwards in learning, and skim a lot of knowledge off topics I have little knowledge in really. But then again, I hope this knowledge sticks with me, as I become deeper involved with them later on. Saying that I was hestitant, the kind and generous hosting of Johan&Nyström of this years NRF, made it easier to go since they reside in the same city as myself. And lots of friends were coming too! The venue was set at the acual J&N roastery in the suburbs of Stockholm, but the after hours activities were happening in the Stockholm City Centre. 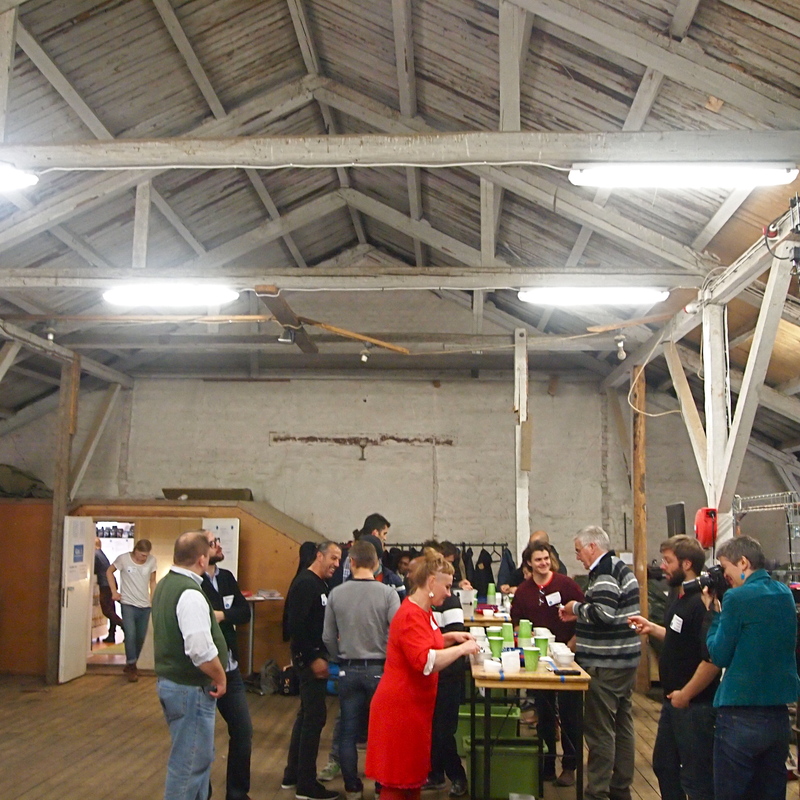 The venue was indeed very “Nordic”, felt genuinly minimalistic but effective, and beautiful! You can read about the program as well as see all the lectures here, so I will not present them but only comment on a few things. First of all, I found the first day particularly interesting, since it was more about the culture regarding the relationship between producer, roaster and customer. We were presented three different type of relationship trade models for business. All of them with their unique touch. To each presentation was a cupping afterwards. These are random thoughts regarding the cuppings, but what I found interesting from the point of view where all coffee is first of all in the hands of humans. In another way you could almost refer to the old Biblical idea that God is perfect, human are not. 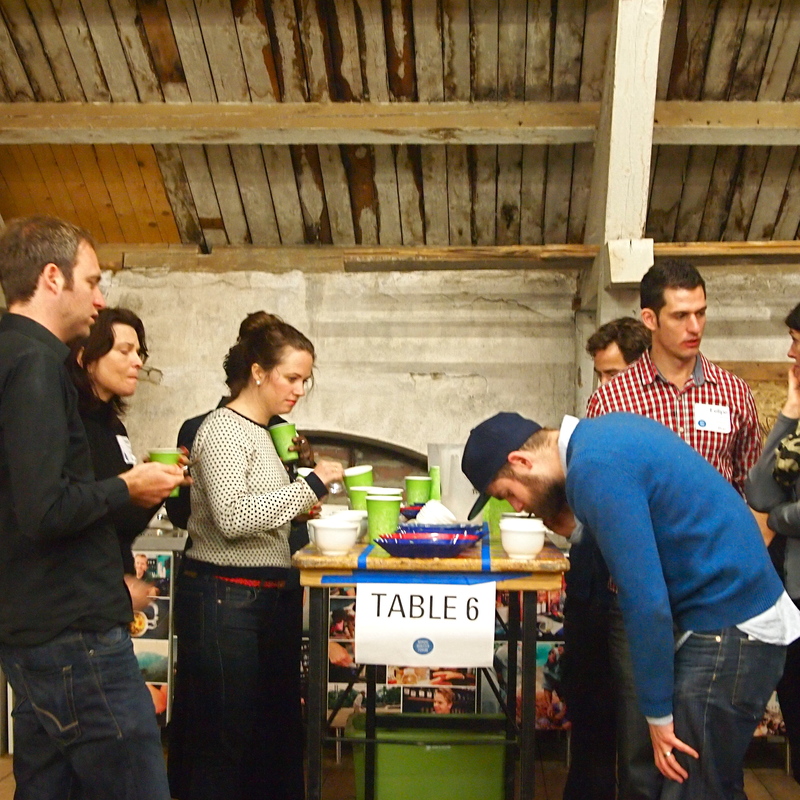 When cupping the first table, the water was already too cold when poured on top of the coffee. The result then, not ideal. The next batch of coffee, the roaster himself complained that the roasts weren’t ideal to what was presented on the table. And so on… I’m not pointing any other finger than when human touches coffee, it goes from perfection to a chain of events that can lead the cup to not be perfect. This to me proves that when we’re talking about coffee, we’re talking about the ideal outcome of that coffee, not how it actually tastes when presented touched by the human hand. Very obvious for this observation was the last cupping of the event, where four roasters all presented the same coffee roasted in their own style. There were several interesting things about this, I thought. First of all, you could definitely pick two of the roasters before it was revealed, just by listening to the reactions around the table. 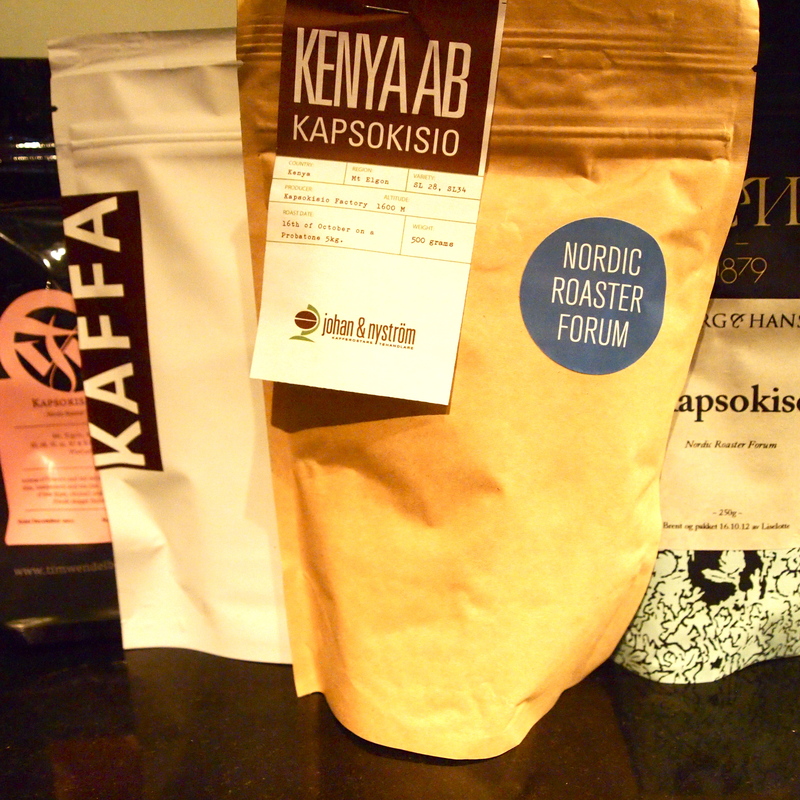 Second, it was kind of obvious that there seemed to be some sort of Norwegian touch to three of the coffees, and a Swedish style to the fourth, since it seemed they highlighted the same things in one country, with various results. Regardless, the fourth was so different it stood out in what seemed a negative way, which I think again is the error of Man. The debate afterwards was what could have happened with the outstanding batch. No conclusion was done, but a lot of suggestions came up. I’m not going to say this is pseudo scientific, but it seems a lot of times there are a lot of experts in a field where there is so many gaps of general knowledge still to be filled in. This is naturally very positive, but I wonder how much effort is put in to follow up on suggestions like these, to find some proper data? I also wonder how these cups would stand up brewed in a bar on different days without being compared to each other. The suggestion of highlighting qualities against each other in this context, gives other outcome than drinking for pleasure. Or would we then blame the outcome in the cup on the barista? Another very interesting topic was the panel discussion on the term “Direct Trade”, theme of the first day and also a term used and owned by two roasters in two different countries with two slightly different approaches. It seemed a little bit obvious that two roasters, with the public as their market, wants an easy way to “certify” their coffees, while the middle men, such as Coffee Collaborative Source and Nordic Approach, has a much more complex attitude towards it. To simplify, I’d say it’s because they don’t have the public, but the roasters, as their customer base. And then there was the small shop roaster who had the philosophy that he did direct trade, but didn’t necessarily wanted or needed to put it on his bags. Five attitudes towards “Direct Trade” then. 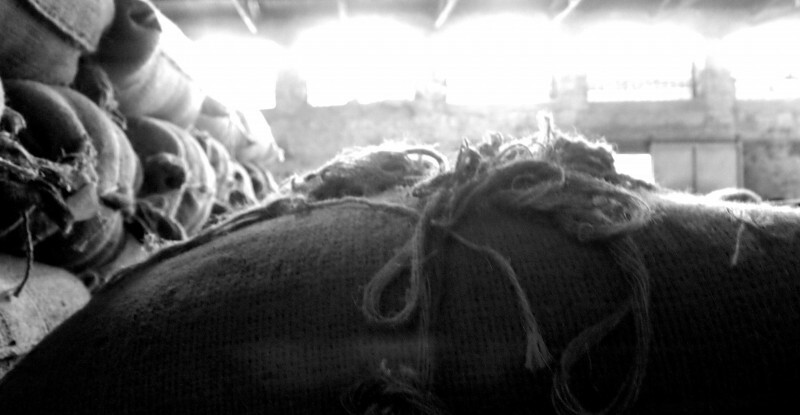 One has to think though, that if you want to create a “certification” that goes for quality and premium price on that quality, you shouldn’t compare the price to the Fair Trade brand, that does not take responsibility for cup quality at all, but only the ethics involved with the trade. Needless to say, we do hear the markets demand for good pickers, who then gets paid more, as well as a better organic approach gives better results in the end. But I just can’t see what the connection to Fair Trade is at all? And every event of this calibre also demands its partying. 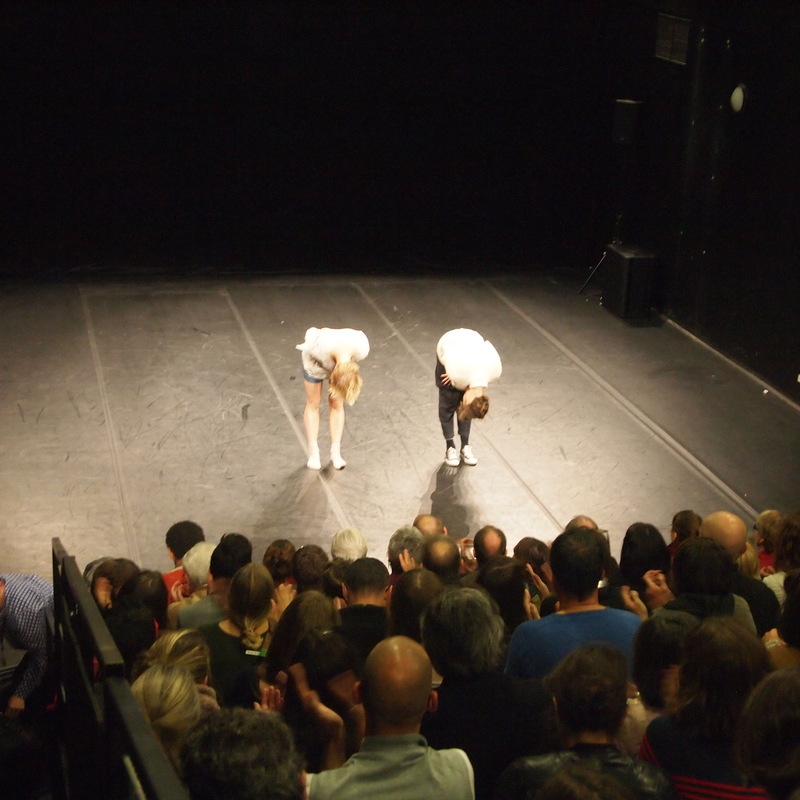 J&N kindly hosted two nights at their own venues, and the final night was at Kafé Pause on Söder. However, I have a feeling that most appreciated was probably the low key but excellence of Kafé Esaias where we went for pre drinks with a bunch of people. I’d say that this was the place I heard and saw most visitors return to, so I was very excited for good mate Joel and his extreme focus to detail in his food pairings and coffee skill. It was a very professional event, and I think everyone left quite impressed and pleased. It at least gives me the will to dwell deeper into the world of coffee! About a year ago, I visited Paris with my daughter. 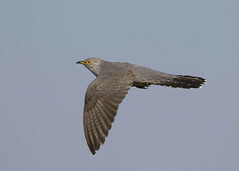 This I have written about here. 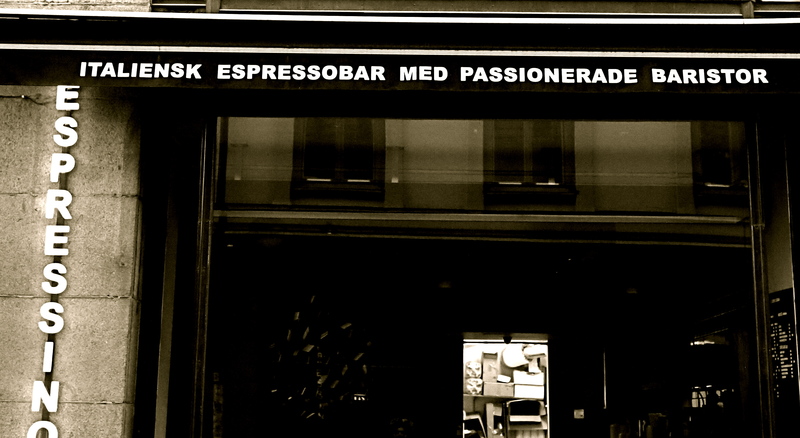 Since then, I’ve met up with some of the key players in the Paris coffee scene both in Sweden and in Vienna. 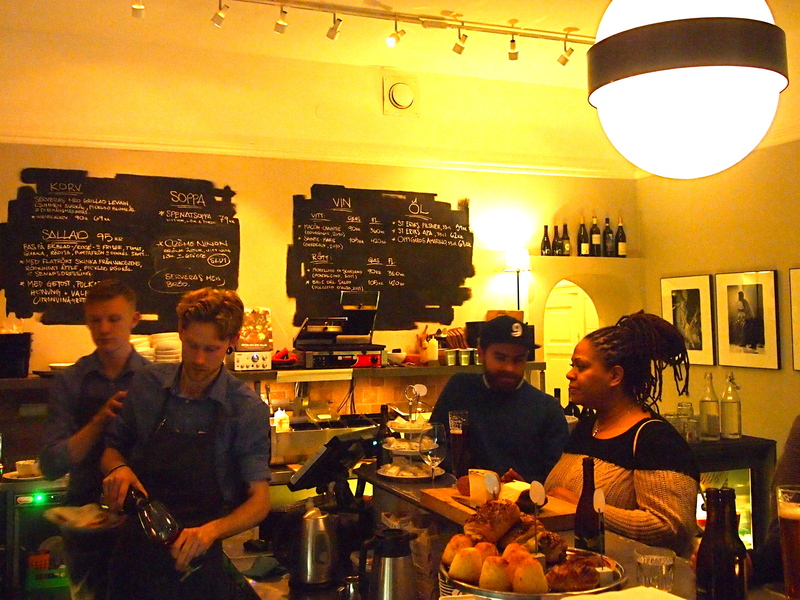 Chris, who then worked at Kooka Boora, came to stay in Stockholm for 6 months, and made a pretty big impact on the Stockholm scene as a barista in the Kafé Esaias crew. And David, then at Le Bal, I saw perform a Tamper Tantrum talk on this years WBC, on the Paris coffee scene. Besides that, I had drinks with the Coutume crew at the La Marzocco party in Vienna, so the Paris scene has probably outside Stockholm been the one I’ve been most up to date with, and thus mostly keen on returning to (the others being Berlin and Perth). First stop on my Parisian coffee crawl was the much anticipated Telescope Café, situated very close to Opera. This could be one of the most slick and minimalistic cafés I’ve seen, but still with a hell of a lot of soul and very inspirational! The quiche were brilliant and the coffees just beautiful! Everything seemed like a designers dream, however presented very casual! In many ways, I find Telescope to be sort of the opposite spectrum of Revolver in Vancouver (if that makes any sense at all), however as inspirational! The main reason for me to go across town, up to La Gare d’Est, was to meet up with good mates Chris and Thomas. At Ten Belles, it was really pumpin’! Ten Belles is owned by Thomas Lehoux, who I have had the pleasure of meeting at several occasions. Thomas is one of the friendliest dudes in the industry, and the place reflects that really well! Chris, mentioned earlier, was here too working the machine and serving us Swedes some super delicious coffees, roasted by Telescope! Had a lovely homemade pie before heading up to Le Bal. Le Bal has shifted coffee from Café Lomi to Has Bean. Not that it made any difference to me, as I ordered a glass of wine. Chris girlfriend Emelie was working, so we had the opportunity to talk Swedish and ask about tonights dinner in Montmartre. It was nice seeing Le Bal again, and I will definitely return for coffee on my next visit to Paris. This time around, it was poor timing for us though. As the night time took us out to party and quickly turned into morning before we hit the suburbs and the bed, it wasn’t until late morning we found ourselves in central Paris again. I really wanted to revisit Kooka Boora (now named KB Café), the place where my daughter had the pancake breakfast every morning, where I met the friendly baristi and had some wonderful juice. This time around though, I took my girlfriend to a semi packed joint where the people behind the counter didn’t really seem to know what they were doing. There was nothing vegetarian available, so I ordered an espresso and a cappuccino and sat myself outside waiting. Some good fifteen minutes passed as our Swedish friends also had found their way there. Realizing it was too much of a wait, they ordered take aways, and left shortly afterwards. Me, I asked for my drinks two times before I left the place half an hour later, ending up getting nothing. By then, it was only half full and they still didn’t seem to know what they were doing. Very sad, and annoyed, I never want to set foot there again. Instead, for coffee I went to Coutume. Now, outside there was a huge line. And it didn’t seem to move fast. So after a few minutes, I saw a Japanese coffee tourist move to a stool at the bar, so I followed his steps. Before doing so though, I asked the guy at the line if Antoine or Tom were around, the two guys who owns Coutume. The answer was no, but he wanted to know if I was Jesper, and if so my visit was expected! This really blew my mind! I sat down at the bar, and had a chat with the two friendly baristi from Iowa. I was presented two solid and consistent shots of espresso before heading to Palais de Tokyo, but as I was sipping it, I thought about how great it was to see a café have a line on a Sunday, and noone seemed to be minding the wait, but rather anticipating a really good time! Then I said goodbye, and left with a smile! Paris café culture seems to be really happening!! There was one place I wanted to go, but didn’t have time to this trip, and that was the new space of the Café Lomi crew! Also, last night Antoine of Coutume was flooding instagram with pictures of a new place in town, so there are lots of things happening in Paris, and I am extremely exciting to be going back next summer for an extended stay! In many ways, I find Paris more interesting than London these days! And bare in mind, I do love London! 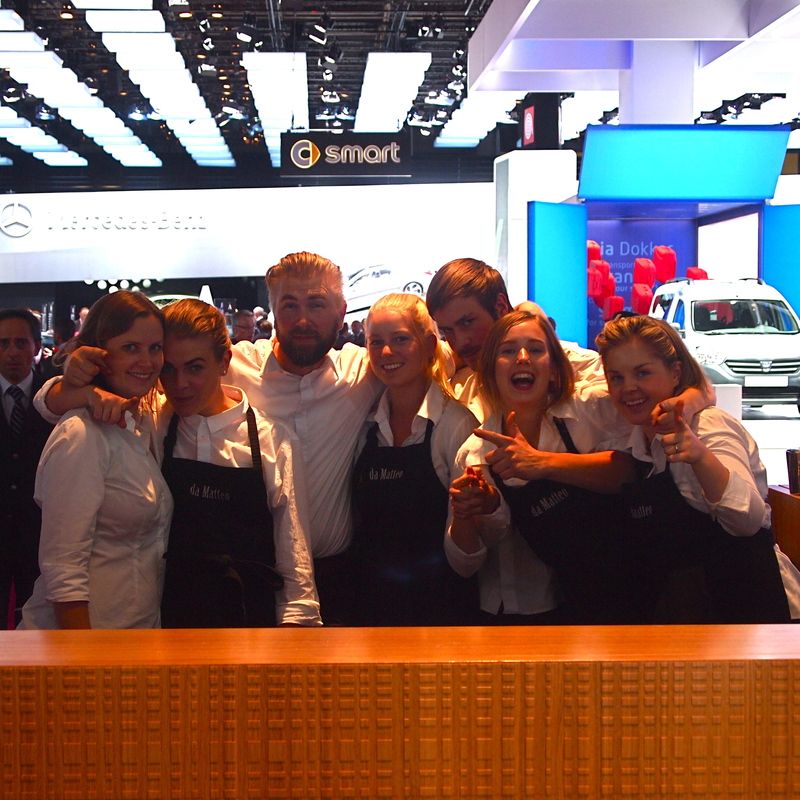 This was both my second time to Paris, and second time I got to tag along the wonderful da Matteo crew to serve the press coffee at Volvo’s stand at the international car fair. The fair was both smaller, and more intimate! Since it was a press booth, sometimes the reactions from other car exhibitors who wanted to taste the coffee, but could present no press-ID, was slightly stressed. One Swedish guy exclaimed; “But I’m very important on Twitter”, and ran off angry. We had great reactions to the coffee from both major newspapers coming to report from the show. Both added that Volvo had the best coffee on the fair, which we naturally had to investigate. 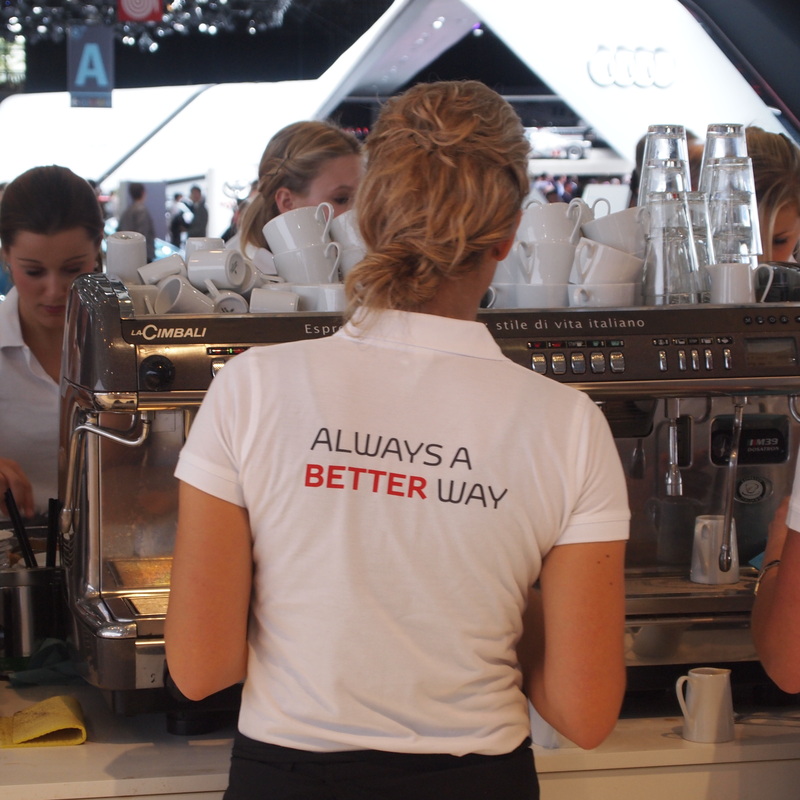 Mercedes and Toyota both had big espresso bars, with plenty of staff. Toyota had something like 4 grinders (not sure what they were for though? ), but the coffee tasted hideous. Working at fairs like these is a lot of fun, and though we worked 12 hours a day, we still managed to squeeze in some fun on town! Also, we had the opportunity to extend our stay in Paris for a couple of days, but sort accomodation ourselves, which was a great opportunity, since my girlfriend as a very good coincidence had a performance in Paris the same weekend. Besides the coffee side of things, I met up with an old friend I hadn’t seen for the past 15 years or so, and had drinks in Montparnasse. Service was hideous, but the company was great! My friends boyfriend is a super exciting producer/DJ, well worth checking up! 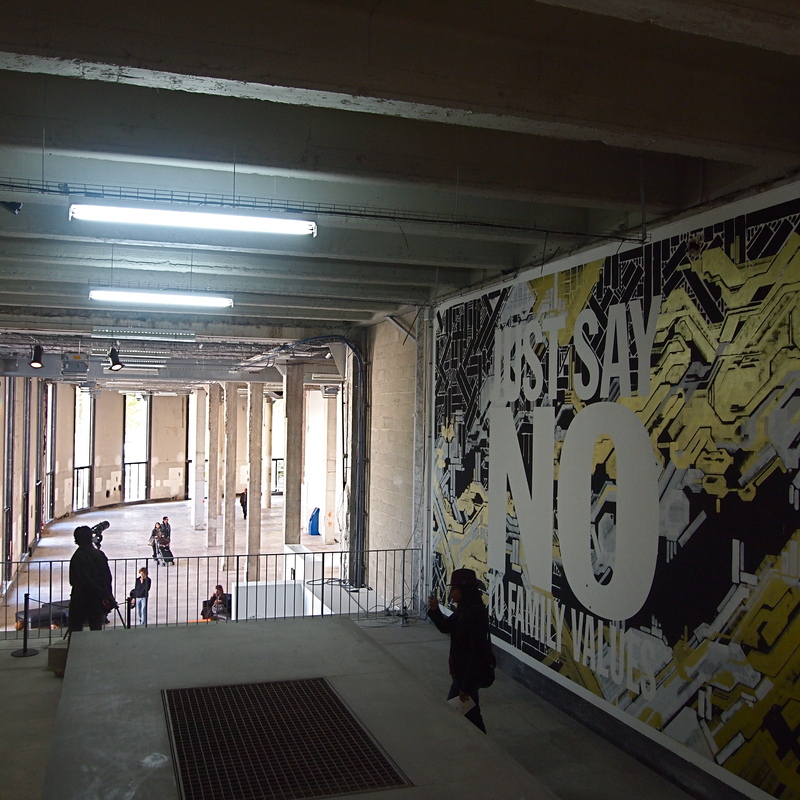 Just before going home, I went with friends to the fabulous Palais de Tokyo. It’s an amazing arts space close to the Trocadero area, with a giant café offering close up view of the Eiffel Tower (that I also caught glimpses of from a taxi, and from the skybar in Montparnasse. It’s like it is casting a shadow over everything this weekend without ever taking centre of attention). My second visit to Paris really left me wanting to explore further, and by the looks of it, I will have the opportunity to come back next summer for a couple of weeks! Can’t wait!